Citation HIBISCUS RADIATUS Cavanilles, Diss. 3: 150, t. 54(2). 1787. Type: Cult. in Paris, without data, Cavanilles s.n. 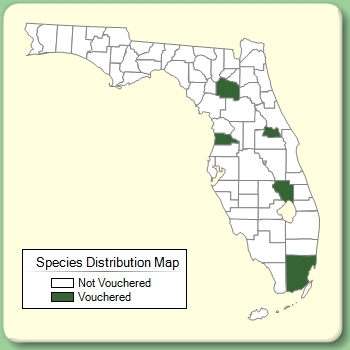 (holotype: P; isotype: MA?). 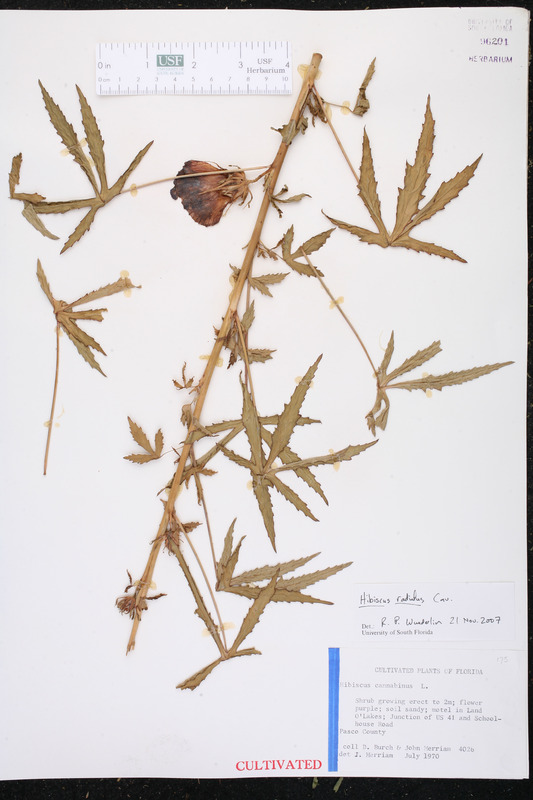 Hibiscus cannabinus var. 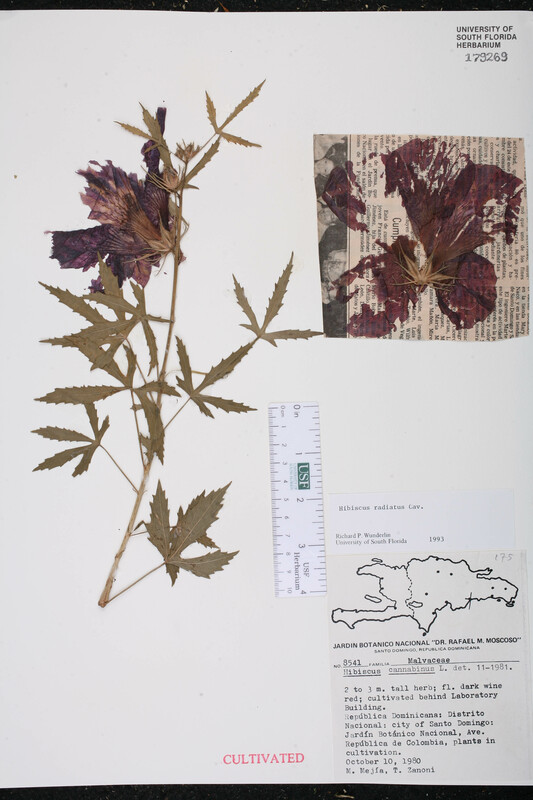 unidens Hibiscus cannabinus Linnaeus, var. unidens (Lindley) Hochreutiner, Annuaire Conserv. Jard. Bot. Gèneve 4: 115. 1900. 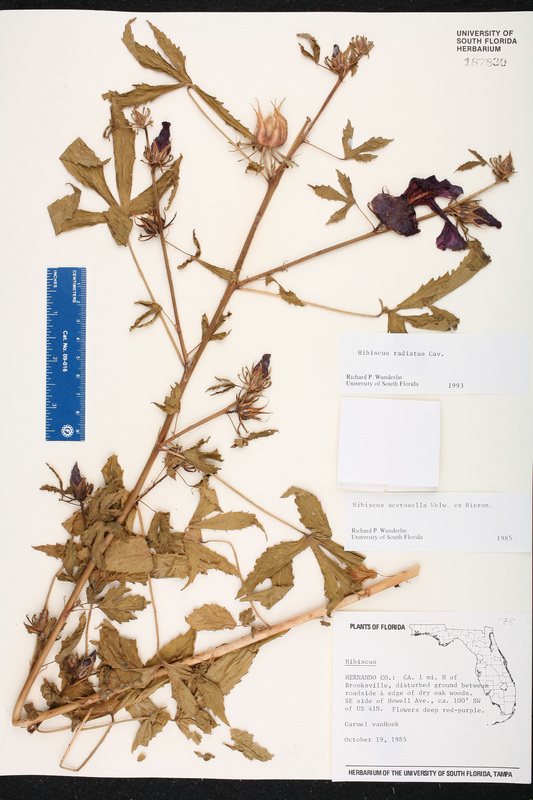 BASIONYM: Hibiscus unidens Lindley 1825. Hibiscus lindlei Hibiscus lindlei Wallich, Pl. Asiat. Rar. 1: 4, t. 4. 1830. TYPE: BURMA: Segaing on Mt. Taung Dong, s.d., Wallich 1895-1 (lectotype: K). Lectotypified by Borssum Waalkes, Blumea 14: 1-251. 1966. Hibiscus unidens Hibiscus unidens Lindley, Bot. Reg. 11: t. 878. 1825. 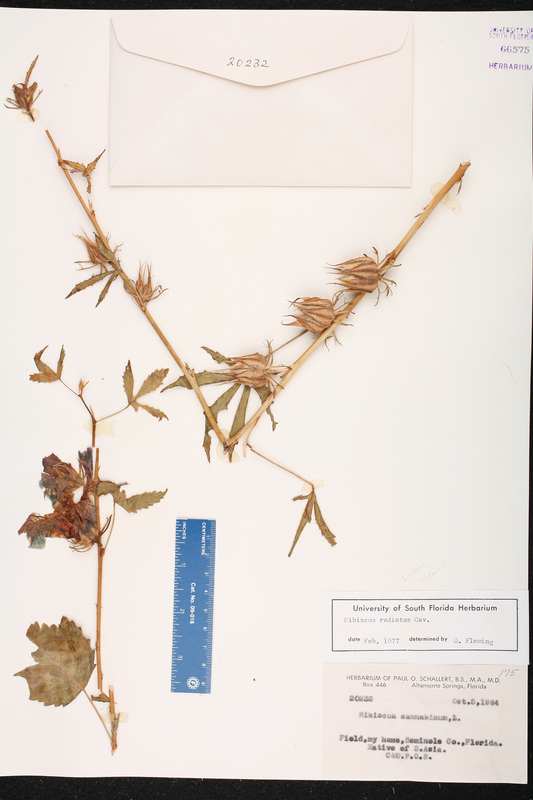 TYPE: BRAZIL: Without data (holotype: Lindley,l Bot. Reg. 9: t. 878. 1823). USA Florida Hernando Co. 19 Oct 1985 C. vanHoek s.n. USA Florida Pasco Co. Jul 1970 D. Burch 4026 CULTIVATED. Dominican Republic Distrito Nacional 10 Oct 1980 M. Mejía 8541 CULTIVATED.